Do you know what’s one of the best predictors of how well a kindergartner will learn to read? It’s not how many worksheets he’s done. It has nothing to do with the educational TV he’s watched or apps he’s played. It’s if he knows his nursery rhymes. Jack Sprat would eat no fat. His wife would eat no lean. All those nonsensical verses from your childhood really do matter. They matter because they rhyme. 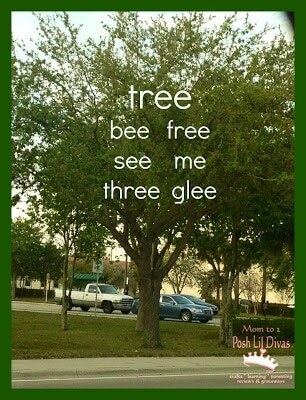 Rhyming is fun. And it’s a very important component of reading success. If you’d like to know more about why rhyming is important, check out this post. If you want to know more about how to help your child learn to rhyme, read on! These books are packed with rhyming words! When your child is ready, leave out the rhyming word for him to fill in. 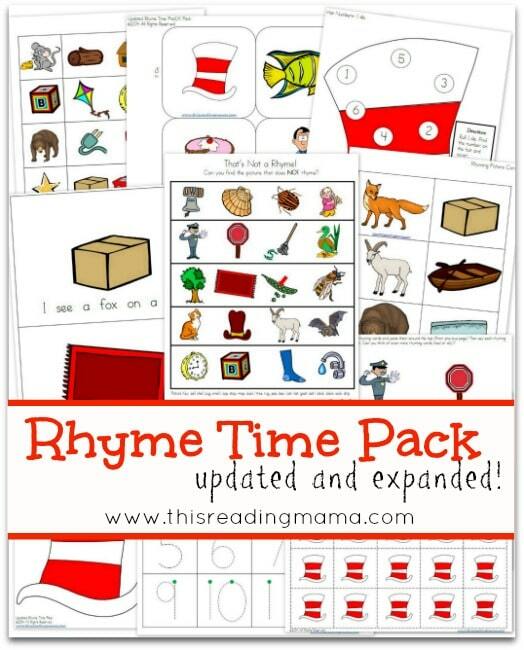 Or try this fun rhyming activity with picture books. You just need the book and a counter or post-it note. Did you see my post sharing ten reasons why nursery rhymes are important? Even older kids should know their nursery rhymes! Maybe you’ve seen my collection of 26 FREE letter books featuring rhymes and songs for every letter of the alphabet. These helped my middle son learn to rhyme (and recognize his letters) when he was a toddler. We love, love, love books we can sing. 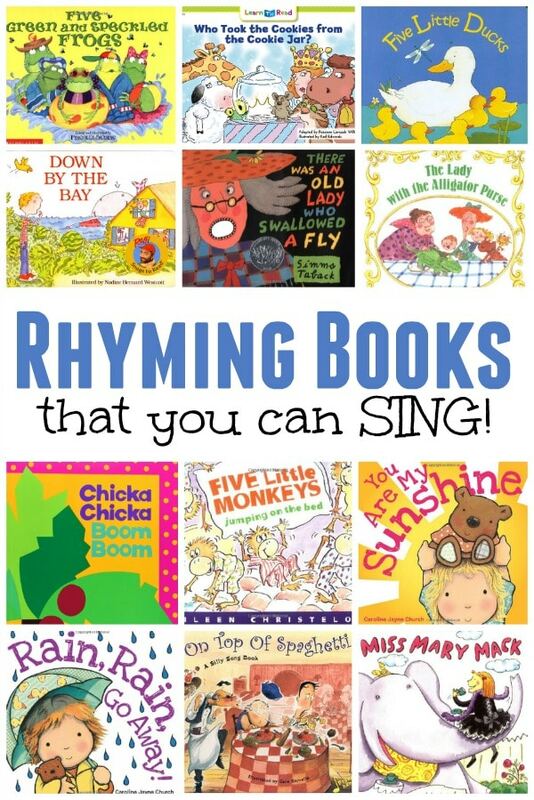 Check out these singable rhyming books from This Reading Mama. 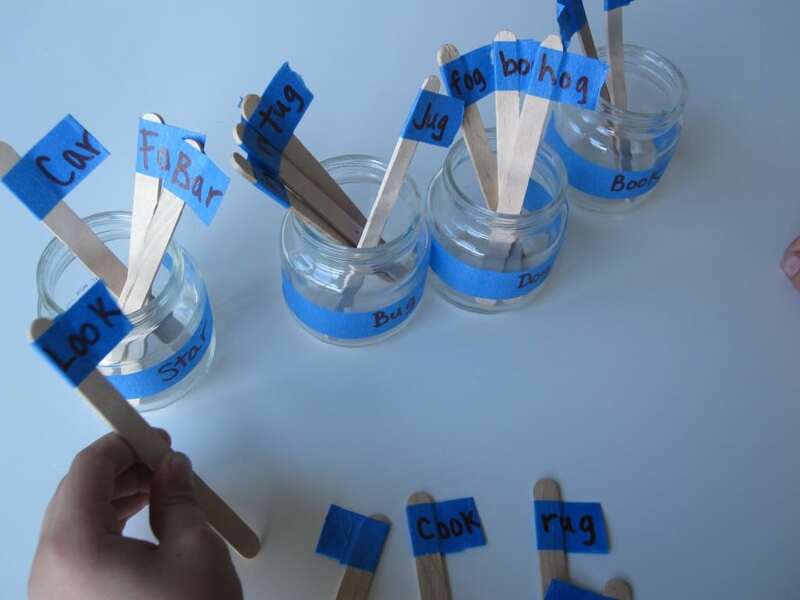 These rhyming games take little or no prep time. Try them out! 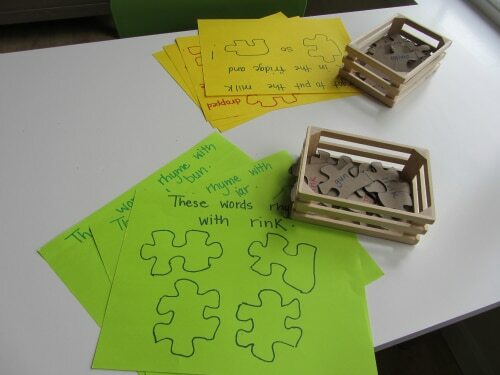 This puzzle rhyming activity from No Time for Flashcards is a genius way to recycle those old puzzles you’re not using anymore. Play a rhyming scavenger hunt based on the book There’s a Wocket in My Pocket. Looking for a classroom game? 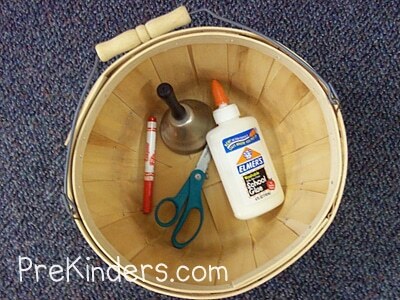 Try passing around the rhyming basket, like they do at PreKinders. 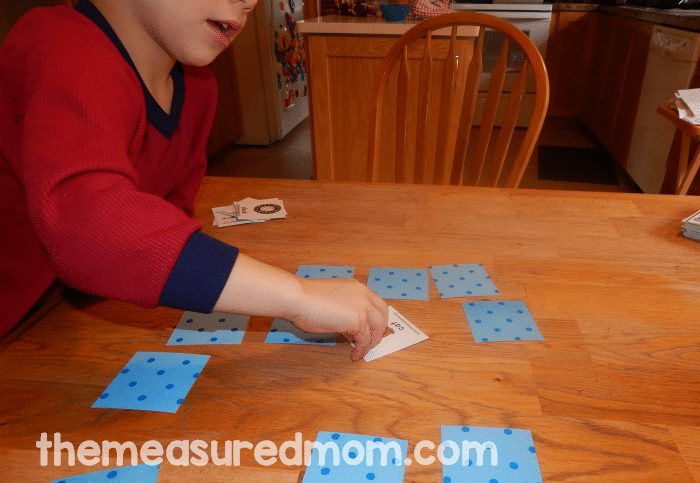 Play rhyming dominoes (No Time for Flashcards). Check out Playdough to Plato’s list of six awesome rhyming games. You know we love free printables around here! 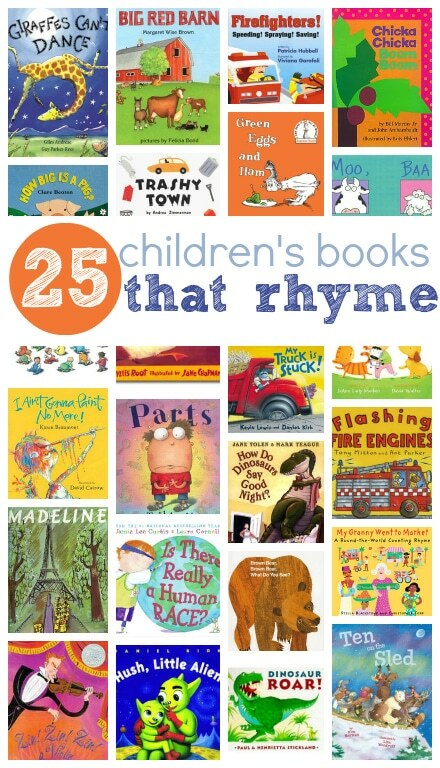 Here’s a big collection to make rhyming fun. Get our giant pack of free rhyming clip cards. 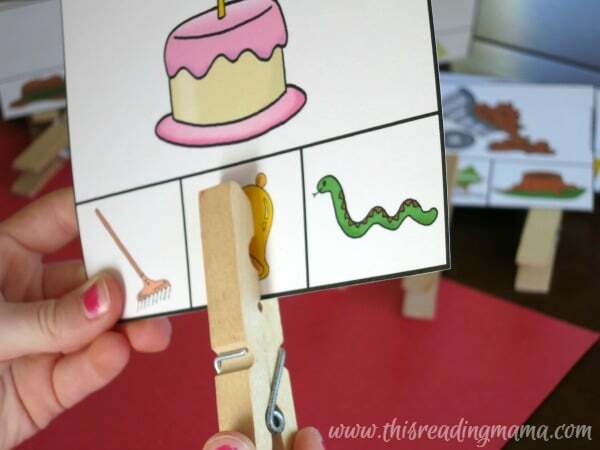 For a twist on the activity, print This Reading Mama’s clip cards and have your child clip the picture that doesn’t rhyme. 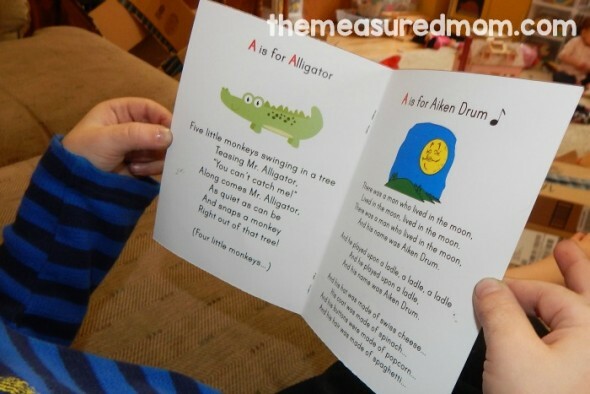 Get This Reading Mama’s free rhyming pack for preschool and kindergarten. 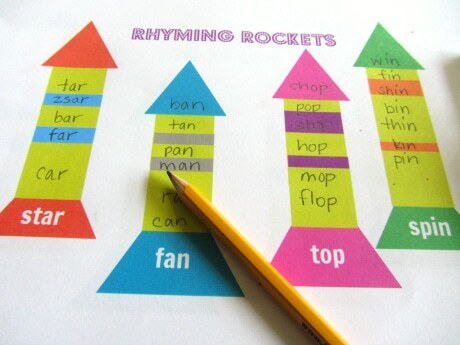 Get this rhyming rockets printable at No Time for Flashcards. 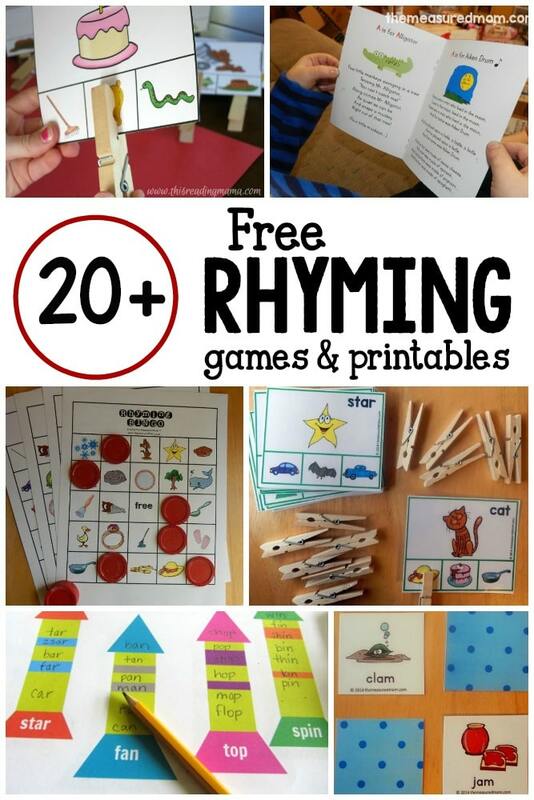 Print and play our rhyming matching game (24 free pairs!). 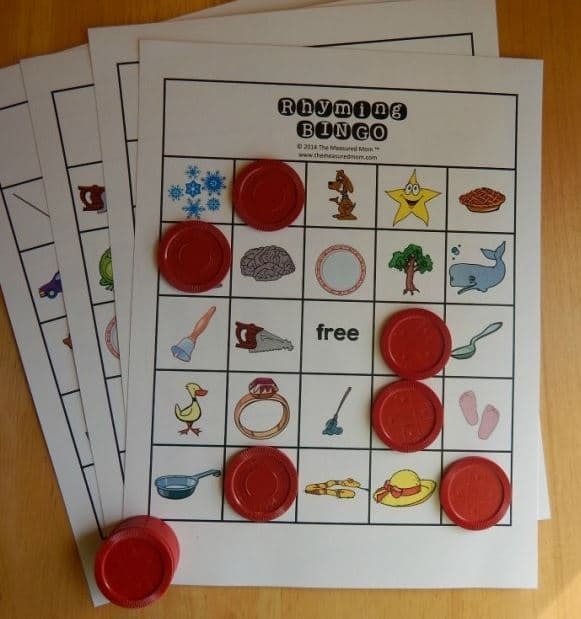 Or play rhyming bingo with our giant classroom set of bingo boards. Add rhyming songs to your routine by getting 20 songs (with lyrics!) from This Reading Mama. Find 6 ways to add rhymes to every day life from What Do We Do All Day. Listen to rhyming music in the car! 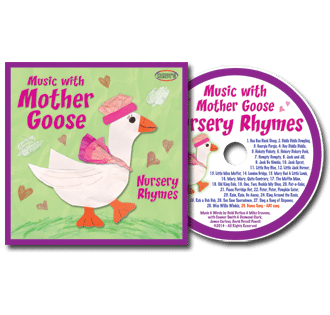 We love our nursery rhyme CD from Heidisongs. LOVE LOVE LOVE your creative creations. Please know that my Kinders have the best time ever in centers and AM work. I have a broad group of learners this year, and your activities hit the high achievers and the “I’m off picking daisies” learners. Thank you, Lainie! Your comment really made my day. 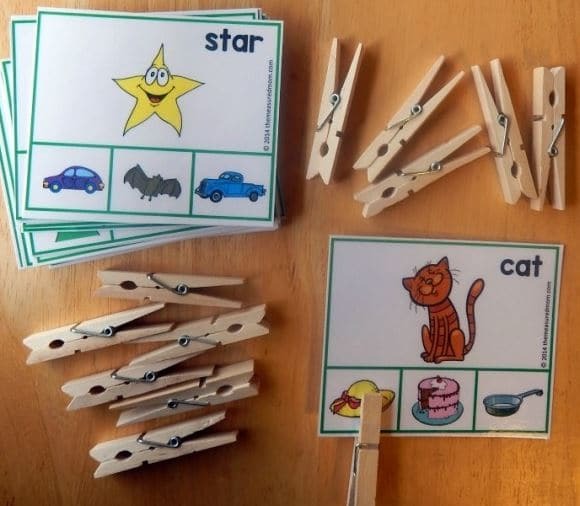 I know how challenging it is to have learners all over the spectrum, so I’m SO glad to hear you can use my materials for students at different levels! 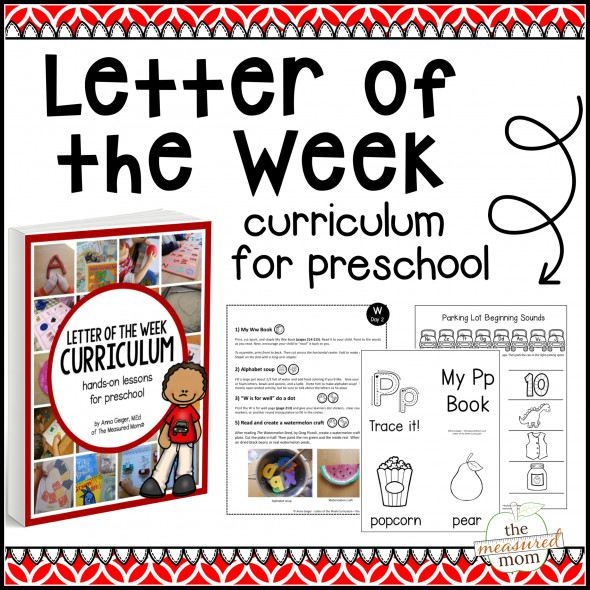 We, my 3yo son & I, have use all the resources you have for learning letter sounds. Now, we are moving on to phonemic awareness. I should have been doing it all together, but we have twin toddlers destroying our house constantly. Oh well, he is still ahead of schedule! Thank you for posting so many great activities! I cannot get the clipping rhyming cards to download. Any suggestions? Awesome information about rhyming words. thank u for sharing with us . It’s very useful information. Thanks a lot. This is a wonderful sight. All materials are very useful and it’s so great that they are free!!! Thank you so much!!!! My preschoolers love the clothespin activities. I’m so glad your preschoolers enjoy the activities, Rhonda! Thank you! I’ve been wondering how do I start and where. Loved this article! Thanks for sharing my five year old loves the activities. It says free printable activities but it will not give me anything to print!! If you click on the brown links you will get to the blog posts that feature the free printables. Thank you for sharing 🙂 Amazing activities.